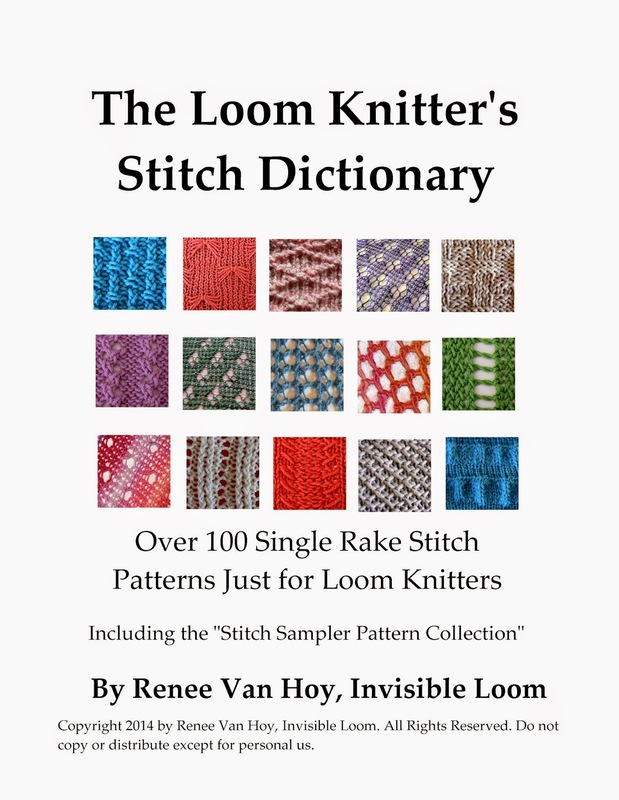 To celebrate the publication of "The Loom Knitter's Stitch Dictionary", everyone who purchases a copy of the dictionary during May, 2014 will be entered into a drawing for a Land's End Medium Canvas Tote (winner to choose the color) project bag. If you have already purchased the book, you have been entered in the drawing. The drawing will take place on June 1st, 2014, and the winner will have one week to claim their prize. Good luck everyone! Copyright 2014 by Renee Van Hoy, Invisible Loom. All Rights Reserved. Thank you for publishing this book. I just love the different stitches that you have in the book.